This is Kumawood actor Bill Asamoah. Bill Asamoah is the Ashanti Regional Actors Guild President.He is one of the best, favorite and most successful Kumawood actor of all time. Known privately as William Asamoah Addo is ranked the 5th richest kumawood actor today. Social media indeed is the place to be for snappy news updates, jokes and a general sense of what the agenda for most conversations in a country is. 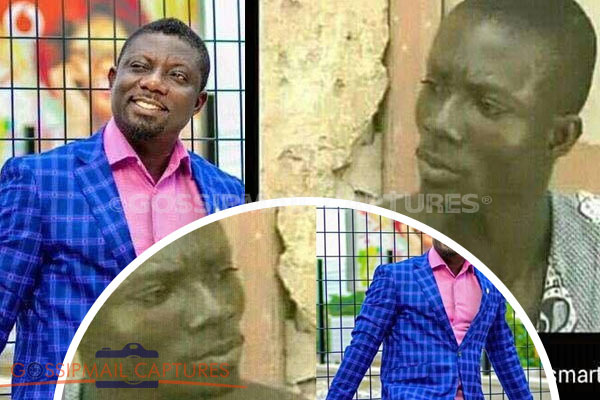 And from nobody to somebody.A throwback photo of the kumawood actor was shared and people were stunned by how far God has brought the actor. With all the revealing jaw and cheek bones tells, nobody is ugly—And of course, Money can change a person.